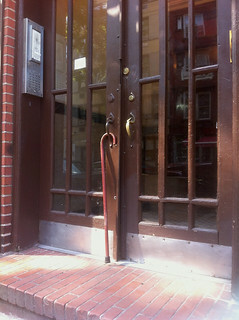 Frank Bardin A cane left on the front door of 510 East Sixth Street that belongs to the landlord, according to a resident. On monday evening firefighters were called to 510 East Sixth Street after the elderly landlord, Martha Fedorko, fell asleep with a pot on the stove, a resident said. A spokesman for the Fire Department confirmed that firefighters responded to a kitchen fire in the building between Avenues A and B at around 8:50 p.m. Following The Local’s story on the quandary the tenants of the building found themselves in, several others came forward with their own stories.